Everyone wants a beautiful smile. In fact, many people were born with gorgeous smiles but, as they aged, their teeth showed some wear and tear. Modern cosmetic dentistry can help repair the signs of age, restoring your natural, lovely smile once again. We offer two teeth straightening procedures here at Gladstone Family Dentistry. These are Invisalign™ and Six Month Smiles. Many people have heard of Invisalign™. This is a gentle and braces-free way to move your teeth into proper alignment. It often takes about a year of treatment and there are no metal braces or major discomfort involved. 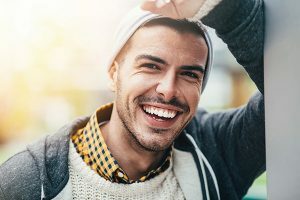 Whether you have the perfect smile right now or you are getting some cosmetic dentistry done to help your smile out, it’s important to maintain your dental health. Here at Gladstone Family Dentistry, we know that regular maintenance is extremely important to tooth, gum and overall health. That’s why we offer regular care and maintenance to all of our patients, whether they originally came to us for a cosmetic procedure, a crown or an implant. We are here for all of your dental care needs. We would love to help you attain the best smile possible! Contact us today to make an appointment.